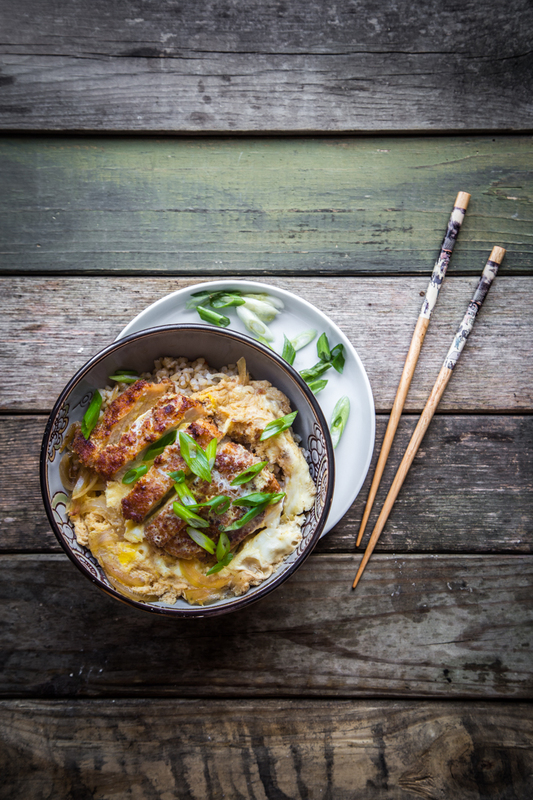 Katsudon is made of tonkatsu (fried pork cutlet) cooked with eggs simmered in sweet and savory broth and served over rice. 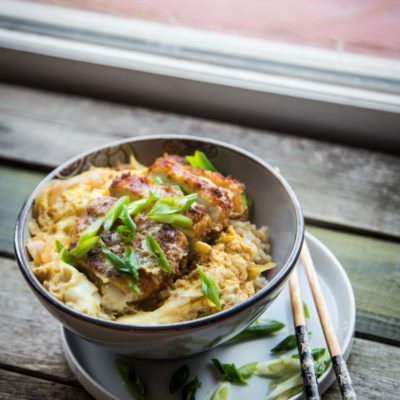 A perfect delicious rice bowl that you’ll find hard to resist. This is another recipe that I tried from Everyday Harumi cookbook by Harumi Kurihara. 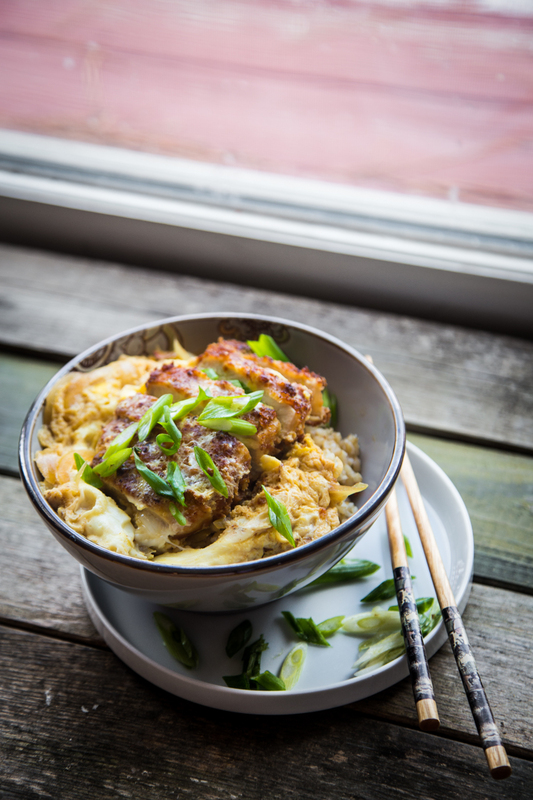 She shared that the word katsudon comes from tonkatsu, a deep-fried pork cutlet, and donburi, the word for a bowl of rice with an added ingredient on top. 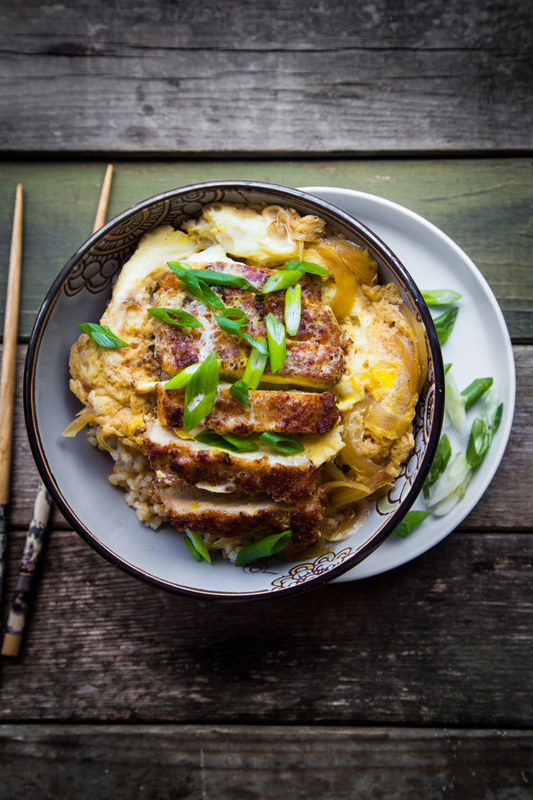 A typical katsudon is a bowl of hot rice with a tonkatsu steak on top but the tonkatsu is given extra flavor by being cooked in a special sauce and covered with a delicious egg topping. I’m hungry just thinking about it. 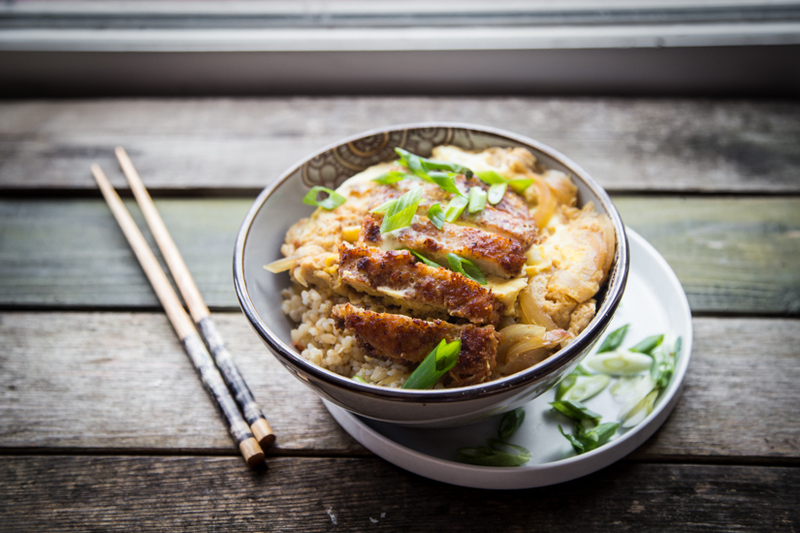 You know you I like a rice dish with all the protein piled on top of it and katsudon is absolutely my favorite Japanese meal (probably after ramen ?). 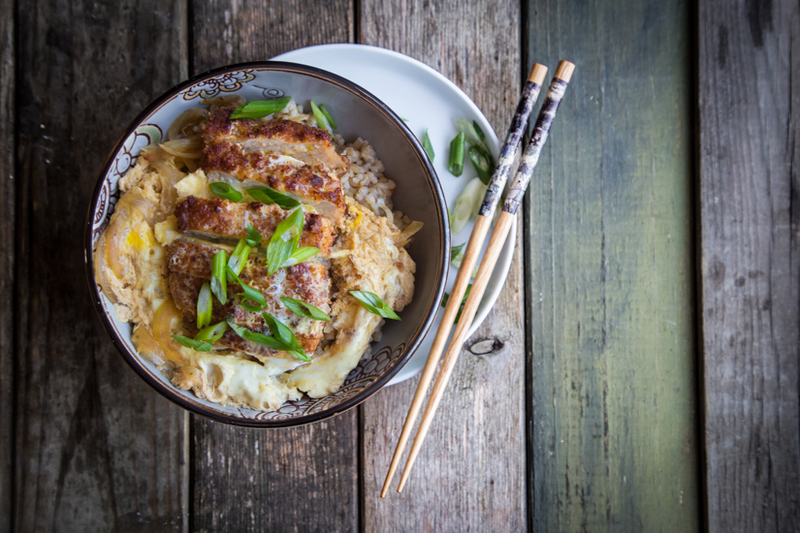 When I dived in that bowl of goodness: the soft eggs, the delicious sauce along with tonkatsu, I couldn’t help but to think “How can a simple things like katsudon can bring so much joy to my palate and so comforting”. It’s a bowl of awesomeness!!! This looks lovely. Thanks for the recipe. 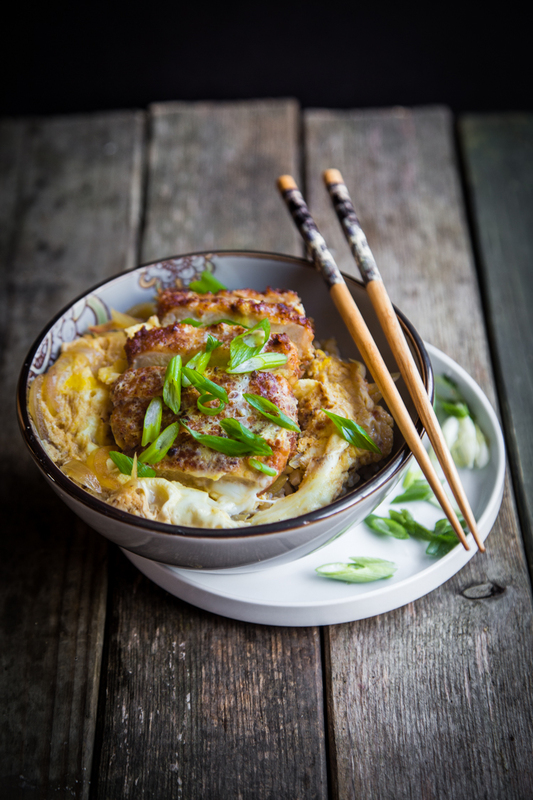 I’ve been craving for Japanese food so I am in search for Katsudon recipe, I am really glad you have this on your blog. it’s one of my favorite because it’s so fulfilling.